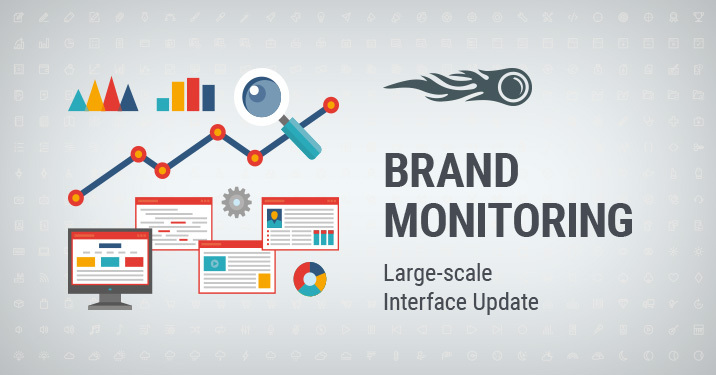 The Brand Monitoring tool is becoming more and more convenient to work with. Obviously, there is always room for improvement. Today we have prepared a huge interface update. Let’s see what’s new. The Mentions section is now less crowded with control elements. It became handier for your brand mentions searching. The ‘Add’, ‘Delete’ and ‘Tag’ buttons have been moved to the right side of a mention. A link to the site with the mention is now under the mention’s heading. A new section with domain information has been embedded. A new BM Score metric is available here. It is based on SEMrush’s Domain Score and measures the domain's authority on a 100-point scale. A higher score means more authority. Domains with a score of 22 are considered to be successful. More metrics will be added soon. We have also moved the ‘Block’ button from the Mentions section here. All filters have been combined at the top. The ‘Tag,’ ‘Favorites’ and ‘Trashed’ filters have also been placed at the top section, which will simplify your work with mentions. Navigation between campaigns in different projects has been improved. The Campaign selector has been moved from the right side and it’s now under the project title. Now you can also easily switch between campaigns of different projects in the tool’s interface.